Angel is a graphic designer who specializes in environmental graphics, branding and visual communication. 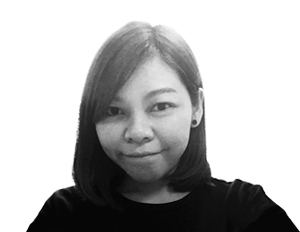 With more than ten years of experience in the design industry, Angel has a diverse portfolio of experience through her involvement in a broad spectrum of projects. Angel started her career in advertising where she worked with a number of great brands and marketing campaigns both in print and digital media. Prior to joining IRMS, she worked on promotional environments and exhibition design, where she continued to create visual brand expression that is integrated into multiple consumer touch points within the built environment. Notable clients from private and public sectors include Cartier, CapitaLand, DBS and CAAS. She has also worked with educational institutions such as the Art Science Museum, Philatelic Museum, Singapore Science Centre and Sports Hub. At IRMS, she continues to draw on her graphic design background to integrate branding and communication design with the built environment of theme parks and other experiential projects.